Is HDFC Bank the secret of top funds' show in beating benchmark index in growth? Four of five funds that beat Nifty's 11.7% growth from December had HDFC Bank as one of the top three stocks on their portfolios, survey shows. Banking and financial institution stocks have been outperforming the market from December when the Reserve Bank of India (RBI) began pumping liquidity into the economy, despite some bad debt woes. HDFC Bank may have emerged as the best bet for equity investors as it has helped deliver for top fund managers more growth than the National Stock Exchange (NSE) Nifty 50. No wonder that four of the five equity mutual funds that topped the 11.7 per cent growth of the National Stock Exchange's (NSE) benchmark index, which rose from a low of 10,488 on December 10 close to mark a high of 11,761 on April 3, had HDFC Bank as one of the top three stakes on their portfolios. Since former bureaucrat Shaktikanta Das took over as RBI governor from Urjit Patel, who left after strident criticism by Finance Minister Arun Jaitley over a liquidity squeeze that smothered economic growth, the central bank has taken a series of measures to help build liquidity in the market. The economy's liquidity is vital for the Prime Minister Narendra Modi-led Bharatiya Janata Party (BJP), which is heading the coalition government of National Democratic Alliance (NDA), in the general election 2019. The RBI added to the liquidity by reducing the repo rates twice by 25 basis points each. It is making available to the government dividend to the tune of Rs 40,000 crore, a substantial part of which has gone to recapitalise the ailing public sector banks that have been victims of bad loans and banking scams including by some high-profile economic offence fugitives who fled the country. Foreign institutional investors (FII) have sustained a healthy net fund inflow through the first three months of the year, sustaining a long due market rally. From October 31, 2018, low of 1885, HDFC Bank rallied to top 2,332 on April 1, 2019. The stock has come off the highs during the last two weeks, with the chart last week showing signs of a reversal, closing the week on Friday at 2,265 after hitting a high of 2,272. Nifty Bank has been doing well over the last two quarters with the sectoral benchmark hitting an all-time high of 30,648 on April 1, 2019. After a consolidation over the past two weeks, technical experts say another uptrend is in sight unless there is some grave election campaign goof-up on the part of the ruling party. The daily chart is showing the bullish inverted hammer on April 11, and closed the week on Friday at 29,938, coming off the day's high of 30,000. With the RSI (relative strength indicator) reigning above 60 showing strong momentum and price action above the Ichimoku cloud, experts suggest the prices must be headed north. Of the five funds that the Economic Times surveyed last week, the HDFC Multicap Fund, IIFL Focused Equity Fund, Franklin India Focused Equity, and SBI Focused Equity Fund had HDFC Bank as one of the three top stocks on their portfolios. Only HDFC Equity Fund did not include the bank stock. The HSBC Multicap Fund, which has Rs 516 crore assets under management (AUM) achieved 13.14 per cent growth while IIFL Focused Equity Fund with Rs 164 crore AUM notched up 16.33 per cent growth, according to the report. SBI Focused Equity Fund with Rs 3,580 crore AUM came with returns to the tune of 13.11 per cent while Franklin India Focused Equity handling Rs 7,445 crore achieved returns of 13.84 per cent. 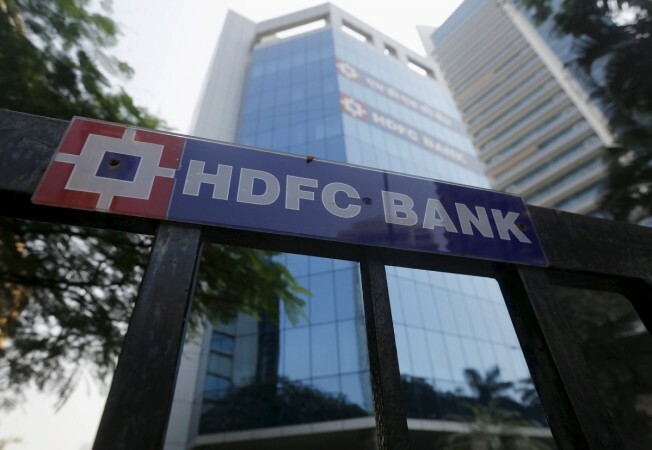 Only the Rs 22,503-crore HDFC Equity Fund's 12.95 per cent returns were managed without HDFC Bank on its portfolio.